I have been thinking this week about the story of Mary. Mary, the mother of Jesus was given an extraordinary assignment and if you have a dream and a vision for the future, her life story is a great encouragement. God gave Mary a special job, despite the fact that by human standards she was too poor, too young and from the wrong part of town. God could have gone to the palaces to find a ‘suitable’ mother for the Messiah, but instead he chose an unknown girl from a poor village. To me this is a reminder that our past, our background or our culture is not a problem for God. When I arrived in the UK, I was young foreigner but God took hold of me and changed my life in unexpected ways. We are all born with a God-given purpose and God loves to take insignificant people (in the world’s eyes) and birth significance into their lives. This might seem like a strange thing to say, but often when God gives us a dream, we can feel hopeless. How will God accomplish such a thing? Is it possible? Have I imagined this? And yet, just like Mary, when God speaks to us and gives us a vision, His Holy Spirit can empower us, take us further than we could ever imagine and make the impossible, possible in our lives. His Holy Spirit is bigger than our intellect, our talent and our ability. His Holy Spirit is bigger than our past, our culture and our logic. But like Mary, we have to stop arguing with our reason and thinking and instead say, ‘God, if you said it, I will align my will to your will’. With any vision, talking about it, thinking about it, won’t make it happen. When Gabriel visited Mary, after the initial shock, she got up and went to visit Elisabeth. That was her response. And likewise with us, we have to make a response and to begin to move forward into what God has called us to do. We might not immediately see results but it is important to live in a culture which cultivates it. Surround yourself with people who will speak life into your vision, and like Mary, rub shoulders with people who will make that dream ‘leap’ within your spirit. Mary had to wait 9 months to see the fulfillment of the vision God had given her. You and I may have to wait much longer. The process of waiting for the dream to come true can be a time of real preparation. 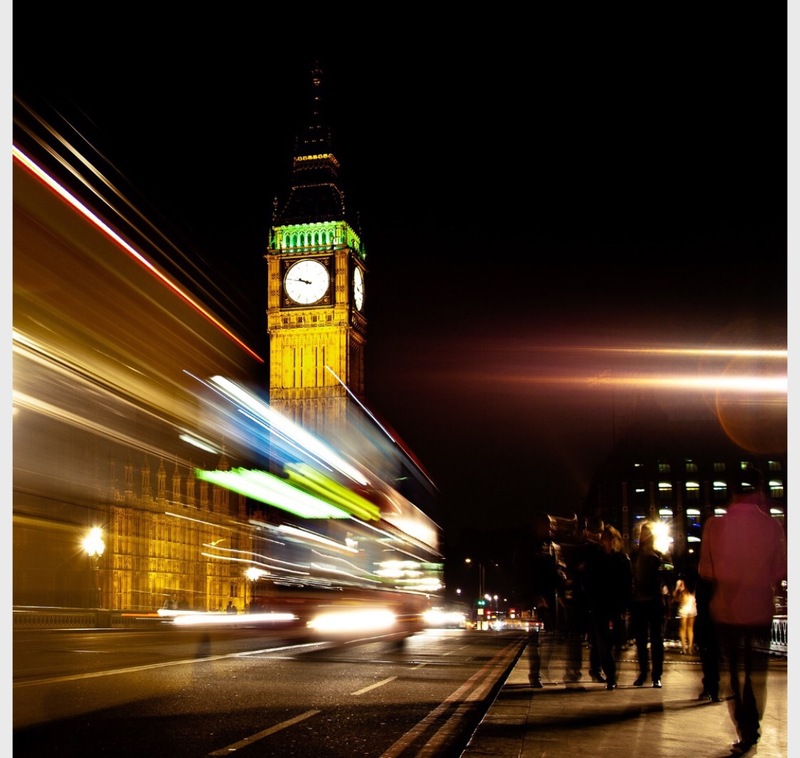 Here at UCB, we believe God has given us a vision for an unprecedented move of God which will sweep the UK and beyond. We haven’t yet seen this (although we believe we are seeing small signs) so instead we are preparing ourselves, our infrastructure and our organisation to be ready for when it happens and to be able to support the Church 24/7, 365 days a year. Mary had to prayerfully get ready for the arrival of Jesus. She knew what was promised would come true and so she began to prepare for what she knew was to come. The arrival of Jesus was a low-key affair. There was no room at the inn for the newborn king, there was no fanfare from the palaces, there was no state announcement. In fact, if it were not for the angels who sang and the light of a star, His birth may have gone unnoticed for a long time. Jesus himself was placed in a feeding manger, in rags, the most unassuming, ‘small’ beginning for the saviour of the world. And yet, those small, humble beginnings, led to the plan of salvation for all of mankind. It’s important to remember that great things (just like oak trees) can have the smallest and most humble of beginnings. Can I encourage you today, that if you are waiting for God to fulfil your own vision and dream, to be faithful to what you believe God has shown you. Use the time positively, to prepare spiritually (and physically) and to surround yourself with people who will help to keep you accountable. If God has said it, it will come to pass. This week on UCB 1 and UCB 2, it has been our national appeal. We have been talking on air about 1 Kings 18, and the ‘sound of a mighty rainstorm’. All around us, are small clouds and green shoots of the beginnings of revival and we are expectant and excited to see what God is going to do. What you won’t have heard on air, is the move of God which has been happening in our own buildings here at UCB. Last week, we invited Fergus Mcintyre, an itinerant pastor who has a prophetic ministry, to spend time with our staff, praying with each of them and speaking into their lives. There is nothing like experiencing that refreshing ‘rain’ when the spirit of God touches and refreshes our lives! As a result of these meetings, I have heard from so many of our team, who have been blessed by what God said to them. I truly believe this is where revival begins. There is a famous saying, ‘Lord, send revival and let it start with me’. I believe these ‘last days’ are now and can I encourage you, to seek God for your own personal revival? When we have received it, we are then able to pass it on to others. Here are a few stories from our team, of what has happened to them in the past week. In my life, I have struggled and felt a lot of pain, but I can always sense when others need help. When Fergus prayed for me, he told me I am a good listener and God trusts me. I can walk past someone and squeeze their hand and say, ‘I’m with you’ and they will feel God’s presence. This became really apparent during the appeal when I was able to listen and engage with our supporters on the phone. I was able to help a listener with a severe stammer, through the donation process and I was able to listen and let him know I was there to help. This confirmed many of the things Fergus said to me about listening and being trusted to help others through difficult situations. Over the past few years, I have been able to pray for many of the staff at UCB and have felt I could often feel other people’s pain. At first, I thought I was just imagining it but when Fergus spoke to me, he said God wanted me to step up and tell people what I felt and then pray for them. Fergus told me that I was a ‘Barnabas’ and encouraged me to step out in faith, but at the same time, use discernment and speak wisely. A man I did not know at all, was used to speak encouragement and blessing into my life. Fergus spoke to me about how I’m very particular about all the jobs I do, I dot all the i’s and cross all the t’s as he put it. Whilst this is true, the thing is however hard I try and whatever I do, I always feel like I’m not good enough – so I decided that I’d stay behind and ask Fergus if he’d pray with me about it. We chatted and very quickly Fergus uncovered the root of the problem. You see the thing is, I grew up with a violent and overbearing, perfectionist father, everything had to be ‘just right’ all the time. Me and my siblings grew up constantly walking on eggshells, afraid to upset him and whatever I achieved, it was never enough. The effect that growing up in this kind of environment has on you as a person is huge. And whilst I do feel that I have forgiven my Dad for all this already, somehow I’ve just never been able to break free of the hold that it has over me. So, Fergus then prayed with me and asked me to speak out all the things, all the un-truths that have ever been spoken over me and that I’ve believed. Then the presence of God came over me in the most powerful way, the chains that have kept me bound since my childhood were broken and I felt the most amazing sense of peace like I have never felt before. What I have to do now is to walk in the freedom and peace that God has graciously given me. The last few months have been really difficult for me and I’ve been fighting lots of battles. I knew that I needed to spend more time with God and rest but I’ll admit, instead, I just made myself really busy. I was exhausted. I didn’t know what Fergus was going to say, but he started laughing and said I was the ’90-mile-an-hour lady, always on the go…and that God wanted me to slow down. He also said I’d been dealing with the weight of other people’s expectations and God wanted to set me free from that. I honestly felt like a huge weight was lifted almost instantly, as soon as he prayed and this week has been truly incredible. There’s a tangible sense of God’s presence in the building, spontaneous prayer groups are breaking out and I’ve been diving out of bed in the morning, excited to read my Bible and see what God has to say today. It’s amazing to see what God is doing. It’s not what God has done but what he is doing….this is just the beginning. Can I encourage you, to spend time seeking God in your own life. When his spirit touches our lives, everything changes. We are able to see with clarity and we are able to pass this incredible presence of God on to others too. This is where revival starts. As I said at the beginning, ‘Lord, send revival and let it start with me’. I have been thinking this week about the subject of bitterness and how much it can impact lives (yes, even the lives of Christians). In Exodus 15, the Israelites (led by Moses) had seen a tremendous victory and they were celebrating and thanking God for their deliverance. They were singing, ‘I will sing to the Lord, for He is highly exalted…the Lord reigns for ever and ever’. But just three days later, they were in the desert and their water supplies had run out. They came to the waters of Marah but they couldn’t drink from it, as the water was so bitter. The same people who had been praising God just a short time ago were now grumbling and complaining. Moses cried out to God and the Lord showed him a piece of wood, which he was able to throw into the water and verse 23 says, ‘the water became fit to drink’. Later, God led the people to Elim, which had ‘12 springs and 70 palm trees’ and they camped there near the water. In our lives, many of us face difficulties, which could leave us feeling bitter. When faced with tragedy or hard times, we have a choice to walk through the situation (with God’s help) and get better, or we can stay in that situation and camp out in our bitterness. The story in Exodus paints a clear picture of how I believe God wants us to respond, when faced with life’s hardships. The word ‘Marah’ (the place of the bitter springs) actually means ‘bitter’ and it is interesting that in the Exodus story, although Moses led the people there, God did not command them to camp and stay there. It was just a passing through on their journey. Later when they arrived at Elim (which means ‘roots’ and also means ‘a place of refreshing’) they were able to stop and set up camp. We all go through times of feeling bitter but I believe it is important to not camp in that place and instead view it as an experience, a place we have to walk through, with God’s help. When Moses cried out to God for an answer, the Lord provided him with a tree branch which would make the water drinkable. Trees take decades to grow and long before Moses and the people encountered this problem, God had already provided a way out, a growing tree which would be used to solve the problem. We see this again later in the story of Zaccheus in Luke 19. Zaccheus was the chief tax collector and was not well-liked. Luke says he was a man of small stature and because of the great crowds (and his height) he was not able to get through the crowds to see Jesus. Zaccheus climbed a nearby sycamore tree in order to see Jesus and later, met with Jesus personally. We do not know how long it took, but it is likely that tree had been growing there for a long time. I like to imagine that maybe God even sent an angel to protect that tree, knowing that one day it would be used as an important tool in allowing a man to hear the life-changing words of Jesus. It reminds us though, whatever we are going through, God has already provided the answer. In our world today (maybe you are going through this yourself), many people have become stuck in a place of bitterness. Bitterness can be like a spiritual cancer and if we allow it to, it can overtake our thinking and lives. If you are experiencing that today and wondering how you can break free, can I encourage you to go back to the promises of God. Whatever you are going through, I believe that God has already provided the answer (even if you cannot see it) and that if you walk diligently, God will eventually lead you to ‘Elim’, to a place of rest and security. The tree in the stories of Moses and Zacheus are also a symbol of the cross. If you look to the cross and look to the promises of God, he will lead you through. It may not be easy, but living a life free of bitterness, is living life to the full. And this is how I believe God wants us to live. This week, UCB’s Board of Trustees met together to review UCB’s activities and accounts for the year so far. It has been a busy few days with our Board travelling in from different areas of the UK, but I am so thankful for each of our Trustees, for their wisdom and ability. In any leadership position, it is important to have a GOOD team around you. We are blessed at UCB to have a Board and Executive Team made up of Godly, skilled men and women who have the right balance of professional skills and a heart for ministry. When we look to appoint new people to our team, we are above all, looking for people of integrity with a heart for UCB’s vision, who can help and support UCB to stay focused on the big picture and keep us accountable in all things. Our Board meetings are a mixture of time spent together with God (this is a non-negotiable) and time spent going over the business and operational side of UCB. This meeting was no exception and we began by looking to God’s Word. Although we are governed by a great Board, ultimately God is our chairman and we always start with worship and devotions. This time, one particular area of scripture stood out for me; 1 Samuel 15. Saul had been disobedient but he argued that all these fine lambs would make an even bigger and better sacrifice to the Lord. Samuel reminded him, ‘to obey is better than sacrifice’. This story reminded us all of the need to be obedient. It is easy sometimes to be focused on matters of business and governance but it is important, first and foremost to fear God. This is not a kind of terrified fear, but a reverent fear which ensures we stay close to Him and when He tells us to do something, we do it! That is why, for me, it is important to be surrounded by Godly, discerning people such as our Board, as they bring an ‘outside’ perspective and help to keep us on track. 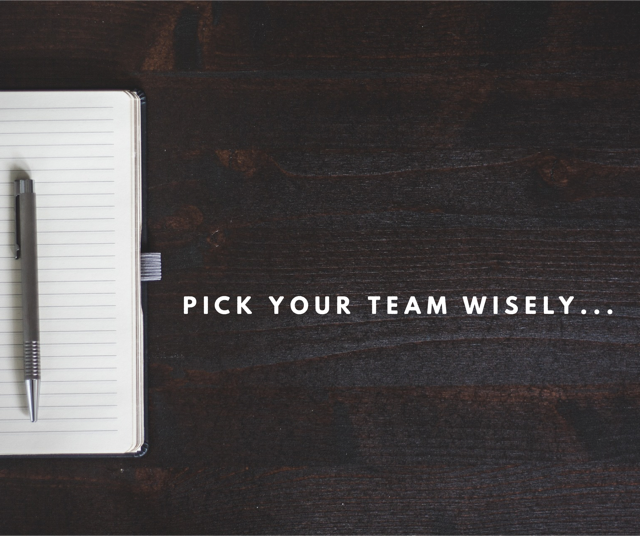 In all areas of life, we each need a ‘team’, a team of people who will support us in the good and bad times and also, if needed, provide a voice of correction. Do not be tempted to surround yourself with ‘yes men’. Find a Samuel. Our trustees have now gone home but we will be meeting again soon for prayer and updates. Please could you stand with us and believe for a breakthrough? In a time of terror, the Lord is the stronghold of my life. Just two weeks after the attack in Manchester, here we are again, facing yet again more devastating news; “Terror strikes again in London Bridge – at least 6 people have died and more than 40 injured”. First, of all, our thoughts and prayers are with everyone affected; individuals, families, emergency services, the communities nearby, our Capital city of London as well as our Prime Minister and government. How they need God’s wisdom and guidance as they deal with another horrific tragedy. And for us, where do we find healing when our broken hearts seem unable to recover? As a country, we have barely understood one tragedy, when yet another one hits. What can we do? Well, for me personally, my only advice is to stand firmly upon God’s Word, for that is where I find my comfort and strength. God’s Word has been the anchor for my own family in times of desperate tragedy and it is the one thing that we can ALWAYS rely on. God’s Word never changes and it contains all we need for hope, comfort, healing, for wisdom and guidance. To me, in darkness and devastating times, the Lord is my source of light, that means He WILL guide and lead me. Darkness may be the symbol of distress, trouble, perplexity and sorrow, but light is the very opposite of these. God supplied King David with so much light, that his very darkness disappeared and his way became brighter, even in a time of real trouble. If we allow God to invade our lives, He gives us His peace (that surpasses all understanding) and He reminds us that He IS God and when we are with Him, we are safe. The definition of ‘broken’ is ‘reduced to pieces’, fragmented, ruptured, torn, fractured, not functioning properly, out of working order. Is this how you feel? Do you feel like your heart has been reduced to pieces? Ruptured? Broken? Destroyed? YOU ARE REALLY HURTING! It’s like your heart has been shattered into many pieces and you feel emotionally crippled. Ask God to help you, to strengthen you and to heal you. Hand your situation over to Him, trust in Him, anchor yourself in His Word and allow Him into the broken parts of your life. He STILL heals the broken hearted! Why? Because He really loves you. Our hearts and prayers today are with everyone who is broken, lost and who feels as though their lives have been shattered. The cry of our hearts is, ‘Lord God, heal our land! 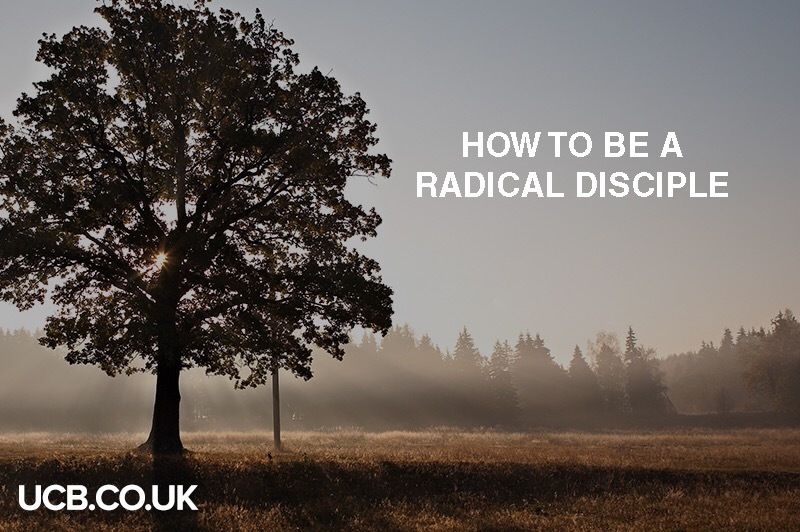 How to be a radical disciple. A few weeks ago, it was wonderful to have Jarrod Cooper with us, to speak at our Foundation event, for leaders. We were so blessed by Jarrod’s ministry and I have asked him to share a few thoughts this week, as a guest blog. I hope this encourages you too, to be radical in your discipleship. God did not ask us to make ‘church members’, count ‘decisions’, or even have people say, ‘the sinner’s prayer’, (not that I’m against any of those things necessarily). He actually told us to be to make disciples. A church member in some of today’s circles is more like the member of any social club. Some want to go to a certain church because it’s cool, big, glitzy or because it’s small, comfortable, not too demanding. All this has little to do with the real walk of faith and the real JESUS. In the gospels we find that Jesus-followers entered into a deeply life changing arrangement. Busy people gave up their jobs and plans to follow Jesus after a single request. Would you or I? He may not require everyone to give up their careers, but all will have to make space for the learning and mission of being a disciple. Jesus told them, “I will make you fishers of men.” It was clear He was going to teach them. A disciple, by inference, has a teacher. If you are the leader, that’s you! Are we discipling our church members or filling in databases and doing hospital visits? Every church should be a training ground and every Christian a soldier either in, or preparing for, battle. True discipleship involves some straight conversations. ‘Iron sharpens iron’, but soft, PC, marshmallow conversations rarely change anyone deeply! Our society is so hooked on approval that often we don’t know what correction or discipline looks like any more, so we call it rejection. But correction is not rejection, it is protection. And discipline is not disapproval, it’s the removal of stuff that is going to harm you! “God disciplines those He loves” (Hebrews 12:4-11) Are we raising disciples who will embrace correction and find life in it? Jesus called His disciples “to be with him”. Friendship with a more experienced man or woman of God and a group of fellow disciples is a vital part of healthy growth. Are we allowing a few to get close, to walk the walk with us, and not just listen on Sundays? You can’t be connected to everyone, but we all can disciple a few. Another new word! Jesus “sent them out”. Are we sending the troops somewhere, adventuring selflessly as part of a vision bigger than ourselves? Every true disciple is a missionary. So are we raising disciples or gathering members? Some of us need to change the polarity of our relationship with our church members, because it should not be the leaders who are chasing around after members. Instead, the leaders should be saying to others, “Follow me, and I will make you…” (Matthew 4:19). Leaders of the Church of the future won’t simply be carers and counsellors (though both are necessary), but pioneers who get a vision, make it plain for all to see, then march off to a brave new world with disciples following. In this way the Church will become more of a movement than a hospital. An army on the front line, not cadets locked in their barracks!